Well, it's in! The long anticipated customized mom ring. Personalized gifts are always a winner in my book so when the opportunity arose for me to receive a ring with a stone representing each one of my precious jewels I did not hesitate. Just this week we re-read the story of Cornela's Jewels. A mom has a visitor come over who is wearing the finest peals, diamonds and jewels. The mom who owns the home is a simple plain Jane. The visitor proudly shows off her expensive jewelry. When she is done, the hostesses presents her jewels; her children. With this ring, you can be reminded of the true jewels in your life, all while enjoying a little bit of bling as well. If you visit the Mama's Jewelry site you can choose from dozens of styles and varieties. 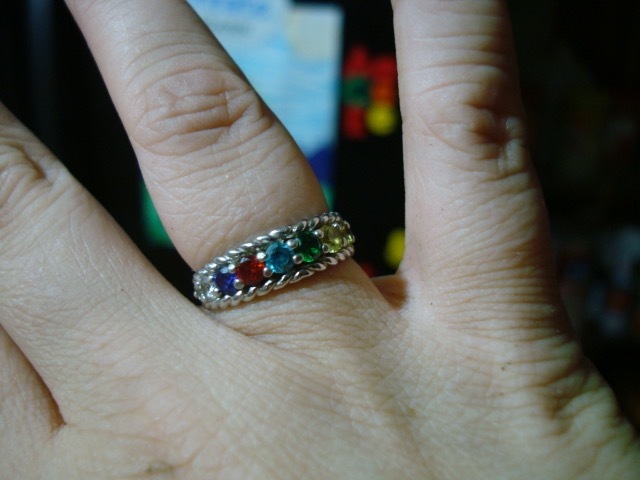 Since I have a fairly large family, I chose a ring that could fit up to ten stones. The middle six stones represent my children. Then, the other four stones are clear stones, two on each side simply for decoration. At first I was confused, thinking they added four April stones to my ring but then I realized they were just filling in the empty spaces. Well, if I have any April babies in the future, I guess I am set- no pun intended. Also, if I do have any more kids, I could have the clear stones replaced with the new stones. If you know me personally, then you know I only have five kids. So why six stones? Well, I do not usually mention my miscarriage that I had before my first son here on the blog but the purple stone (imitation Amethyst) represents our daughter, Elizabeth Amber who was born at only 20 weeks. Though we only knew her for a few short minutes, she is forever in our hearts and an important member of our family. When ordering your ring, you can choose real silver or gold or if on a budget, you can get the silver plated, which is what I received. 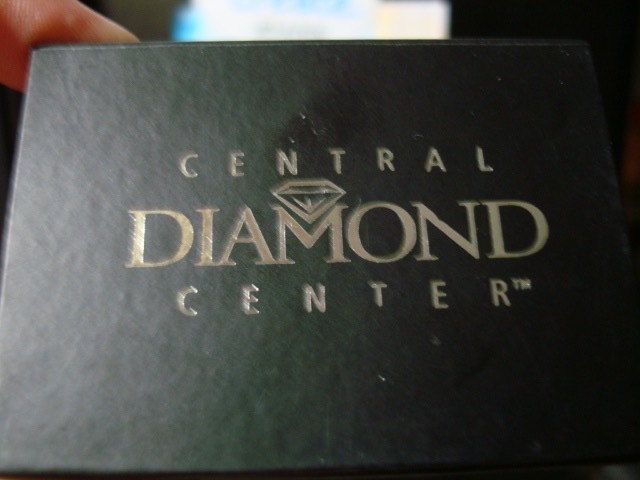 You can receive imitation stones or the real deal depending on your taste, style and budget. Overall, I had a positive experience with this company that provided me with a little piece of happiness that represents the joys of my life. I highly recommend ordering from Mama's Jewelry!